Fortnite Battle Royale Mobile Trailer | Nerd Much? If you can’t wait for Fortnite Battle Royale to come on mobile, look no further than the Invite Event that is on now. It is for iOS users only, but Epic Games states that the Android version will be in the next few months after the iOS version comes out. The Invite Event is simply a waiting list that will notify you the moment Fortnite Battle Royale becomes available to download in the App Store. The game will be exactly at is on the Xbox One and PC, with the “same gameplay, same map, and same weekly updates.” As this is an online multiplayer game, you will need to remember to turn on the internet connection on your phone. 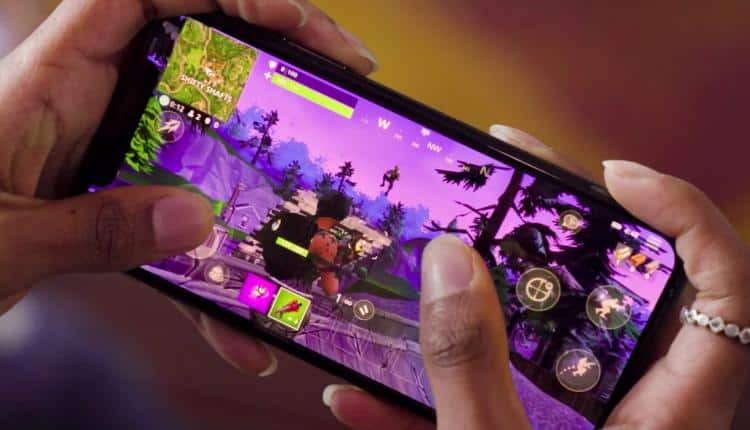 The iOS devices Fortnite will support are any devices with the iOS 11 system update, including the iPhone 6S/SE, iPad Mini 4, iPad Air 2, iPad 2017, and iPad Pro devices or later. Each email will come with a link to download the game, but the game’s availability will be dependent on how the servers handle it. As the server can take more people, more invites will go out and you can start playing the game. If you are an Android user, again, be assured that Fortnite will be coming, just months after the iOS version does. It should not be too long and hopefully this way, we will get the best mobile version possible. It will be interesting to see what solutions they come up with and if there will be some kind of aim-assist on the touch controls. Or perhaps a drastic change in the mobile control scheme, so that the game is more accessible for those not used to the FPS controls on mobile devices. Will you be signing up for Fortnite on the iOS? Do you think the move to the mobile market is a good idea? Will the game work the same way? Let us know your thoughts in the comments below!